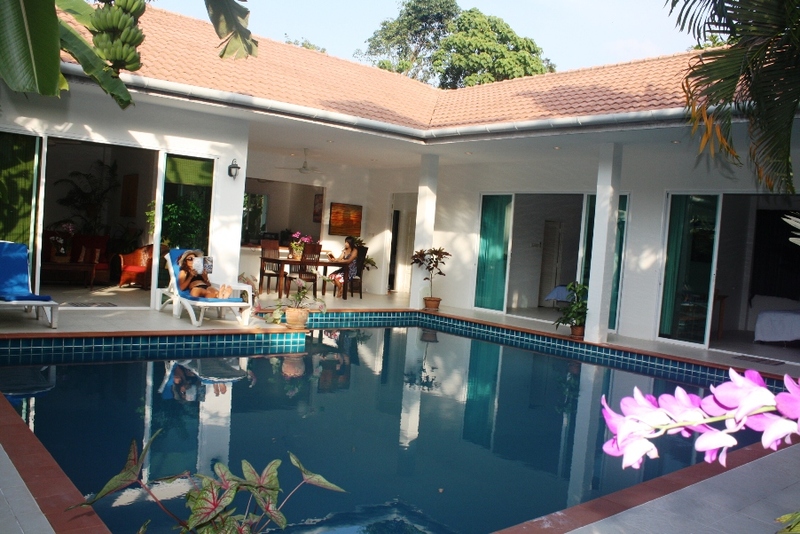 • Three spacious bedrooms all with air conditioners and WC/shower rooms. • Good size, fully equipped kitchen. • Large, semi open dinning/patio area. Ideal for couples and families. Dogs, cats are okay. Please see the House Plan page for an overview of the sizes of all the villas rooms, patios and the pool area on our website.